Office Supplies Talk: Groundhog Day Flash Sale! Whether or not the groundhog saw its shadow this morning, today’s a reassurance that winter won’t last forever. Even six more weeks feels manageable knowing warmer temperatures and longer days are right around the corner. Everything moves on, including one-day flash sales on several cool and useful products for your home and office! One such product, a Deflect-o tilt bin, are a great storage idea for smaller items you want to access quickly. Bins are removable for easy loading, and tilt out to grab items without having to open drawers. They can sit on the desk or mount on the wall. 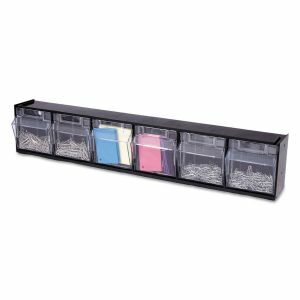 These are perfect for storing crafts, tools, and small office supplies, and can even stack on larger bins easily. 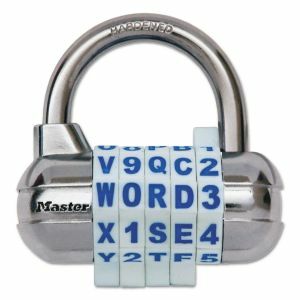 Other items worth checking out include this customizable combination lock. Instead of a pre-assigned number combination, the dials are interchangeable, allowing you to choose a password with various letter, number and symbol combinations available. It’s a perfect option for temporary storage like gym lockers. Storex file boxes are designed for taking hanging files on the go, and include a compartment in the lid for pencils, notepads and other supplies. This Lorell chair mat is designed especially for hard surfaces and not only allows easier chair movement but will protect your floor at the same time. The Groundhog Day Flash Sale is only here on February 2 and won’t be repeated tomorrow!